Do you relish the cold winter days that allow you to wear a hat? 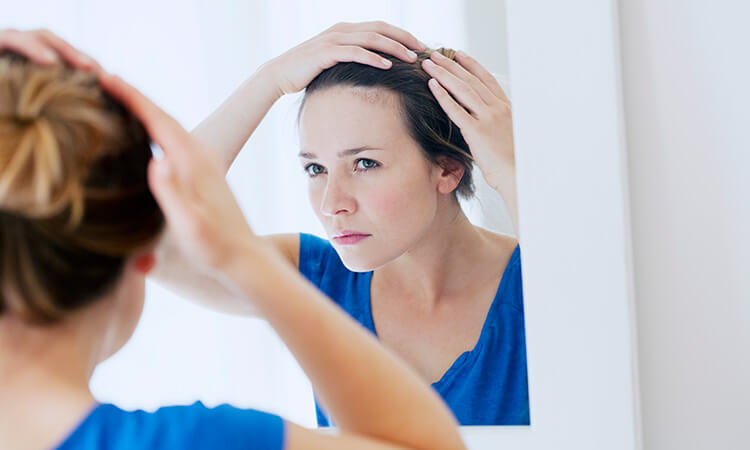 Do you stand in front of the mirror looking for new ways to hide your hair loss? If so, get ready to embrace long summer days when you try the following types of products that are designed to give you healthy, flowing locks! From a thickening shampoo to the right lightweight styling product, here are a few items to add to your morning and evening hair care routine. 1. Volume-Enhancing Thickening Shampoo: Use a shampoo that is designed to strengthen hair, not damage it. Avoid shampoos that are designed to simply “make your hair smell great.” Instead, pick a thickening shampoo that will help to stimulate hair growth, add volume, and aid in cell regeneration. Popular ingredients in good thickening shampoos include Vitamin B, coconut oil, and biotin. 2. Leave-In Conditioner: Choose a leave-in conditioner that can serve as a double-duty daily multivitamin. The best leave-in conditioner will be lightweight and easily absorbed by your scalp and hair. While it should provide extra protection against everyday stressors, it is best to use leave-in conditioners only on days when you are not using your regular thickening conditioner. 3. Thickening Conditioner: Keep your hair healthy with a thickening conditioner. Be on the lookout for a conditioner that uses amino acids and other proven natural ingredients, such as caffeine or green tea to protect your hair. As a secondary component, try to find a conditioner that is designed to rinse away unwanted excess oils that cause greasy hair. 4. Lightweight Styler: Styling products are often the leading culprits in unwanted hair loss. To avoid a messy hair day, while simultaneously reducing the risk of damaging your hair, choose a lightweight, nourishing styler that can provide just the right amount of hold without clogging hair follicles. 5. Scalp Tonic: Bring life back into your locks with a scalp tonic. The tonic should be used no more than once a week to stimulate blood circulation on your scalp, while simultaneously conditioning the hair follicles. Look for a tonic that has natural ingredients to invigorate your scalp and hair follicles, leaving you with a fresh spa feeling. Whether you suffer from the beginnings of hair loss or currently endure extensive hair loss, using a thickening shampoo and conditioner, leave-in conditioner, lightweight styler, and scalp tonic can help you to boost healthy hair growth. However, if you are interested in a more extensive solution, then you should contact the hair loss experts at Metropolitan Vein and Aesthetic Center via 914-295-2202 or nymetrovein@gmail.com. The Metropolitan Vein and Aesthetic Center will create a treatment plan to stop your hair loss in its tracks.